The Flexible hose that grows to 100ft. Contract for easy storage. Expands with water pressure. Fits in palm of your hand. Lightweight. Kink & tangle resistant. Exclusive Amber tip tight seal connectors are 3x stronger than the original Pocket Hose. Revolutionary Dura-Rib construction. 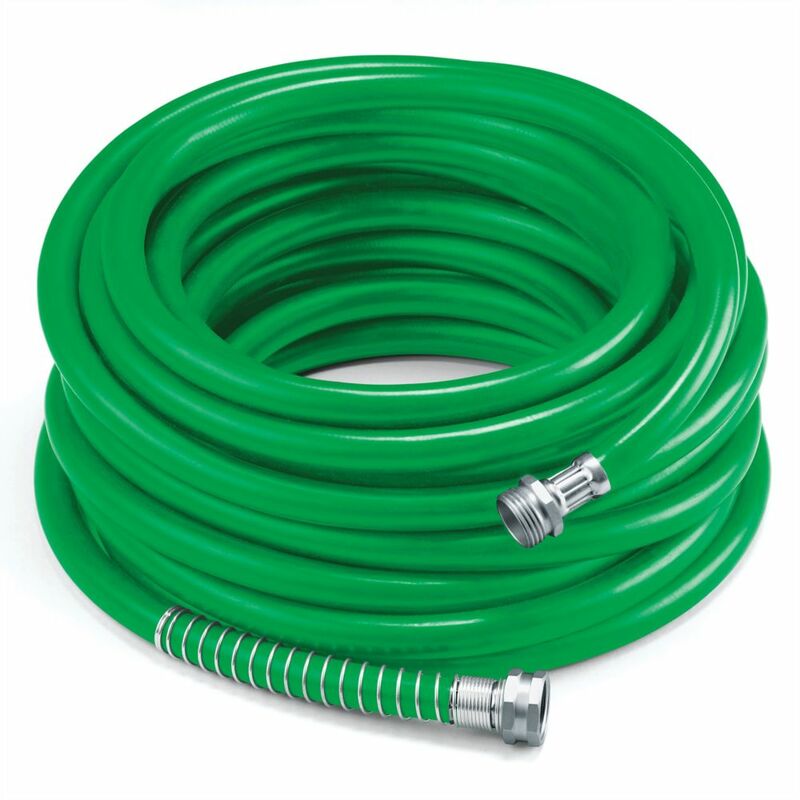 5/8" x 100' Premium Rubber Garden Hose - Green All weather premium rubber hose 5/8" x 100'.Anti kink heavy duty spring guard. Abrasion resistant cover. Nickel plated brass fitting.UV and ozone protection.